Best bed I ever had. It has the best comfort for your back and neck. I sleep like never sleeped before. Perfect! !😃 Recommend to Everyone who needs a Great Noghts Sleep! Beautyrest Platinum Mattresses are built with balance in mind, blending art and science for a more fulfilling sleep. Regulating the differences between temperatures, Beautyrest Platinum offers a smarter, restorative rest and a better morning. InfiniCool Surface. A fiber layer enhanced with cooling materials uniquely positioned just beneath the cover to move heat away from your body while you sleep. - ActivPur. Antimicrobial technology that prevents odor causing bacteria to help keep your bed fresh. - 0.5' Memory Foam infused with Gel Beads contours to your body providing exceptional support and comfort. 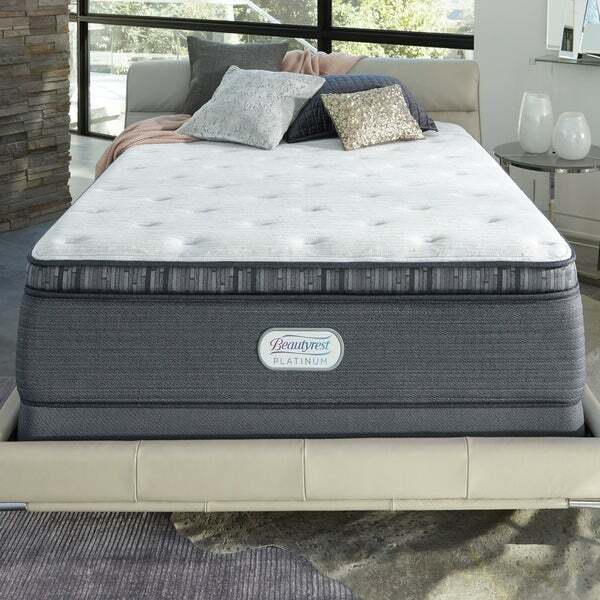 - 0.5' GelTouch Foam provides soothing comfort with exceptional surface contouring and conformability- Beautyrest Pocketed Coil Technology helps provide conforming support and motion separation for undisturbed sleep. I LOVE this mattress. I had a foam mattress prior to this one, which had all the support of an empty cardboard box. 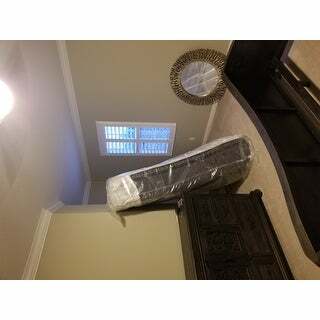 This bed is firm but not too firm, holds its form even though I sleep in the exact same position and spot every night. So far, I absolutely love this mattress and would recommend it to anyone. Plus, Overstock had the best price by hundreds. Sweet! LOVE IT.... SLEEPING LIKE A BABAY!!! The bed is not firm, it is very very soft. Also it is started to slouch in the middle, hasn't even been 1 month. Overstock also doesn't provide a return policy...Very Very Disappointing! What they don't tell you is it will take 5 weeks before you recieve your order. I'm sorry but when I spend over a *** I expect delivery in a timely manner. I tried to cancel this order. But then they tell you that you can't cancel, even though I purchased now 4 days ago and the item still says that it is in "processing". My review is of this company in general and not the product. I will NEVER order from Overstock again. *** is alot better, cheaper and has guaranteed delivery dates that they let you know when you purchase an item. "What level bed is this? Is this comparable to the Simmons World Recharge Luxury class?" "How many total coils are there in this mattress"
"Is this a luxury firm mattress?"